From: Grace Brethren Investment Foundation, Inc. This has been another very successful year of ministry operations. We wish to thank our investors for their faithfulness and for helping GBIF make a significant contribution to the continued growth and outreach of the Fellowship of Grace Brethren Churches. This past year, in fact, represents one of the best years in our history in terms of making new loans to exciting and growing churches in the Fellowship. We are very pleased that we are able to respond positively to new loan requests from churches that are eager to reach their communities for Christ. Your investments in GBIF make that possible, and we are very grateful for your strategic partnership in the work of the Great Commission! 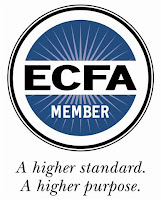 Grace Brethren Investment Foundation is a proud and long-standing member of the Evangelical Council for Financial Accountability (ECFA), which calls its members to very high standards of financial integrity and fiduciary responsibility. In addition to ECFA’s recent review, we submit our financial records for annual audit by Capin Crouse, CPA’s, and their reports find us to be in full compliance with the high standards of the accounting profession for a financial institution. We are grateful for a strong, independent board of directors that provides excellent governance of our ministry. We are grateful, as well, for a quality staff of professionals (pictured) dedicated to integrity and high standards of excellence. We are most grateful, however, for the faithful partnership of our investors across the Fellowship of Grace Brethren Churches. You make it possible for us to continue to be a viable and strategic ministry in the building of His Church. Note: This letter of appreciation does not constitute an offer to sell the Foundation’s Investment Accounts. Such an offer is made only to persons affiliated with the Fellowship of Grace Brethren Churches and only by means of the Foundation’s Prospectus that provides a detailed description of the Investment Accounts and the Foundation. For a free Prospectus and Account Application, contact the GBIF staff toll-free at 888-340-4243 or email at csoto@gbif.com. Thank you Larry and Ken for your leadership and for all the staff at GBIF for their ministry to the body of Christ and the FGBC.